When a mobile phone, laptop, tablet or desktop phone connects to the Konftel 55 an icon automatically illuminates in the smart LCD screen. A VoIP call via, for example, Skype, MS Lync or other web meeting services can also be bridged with a regular phone call. By connecting a laptop to the 55 via the USB cable supplied or via bluetooth, users can take adantages of the freely available VOIP video services (like Skype etc), and enjoy audio and video communication. When a headset is connected to Konftel 55 via the 3.5 mm jack, users can switch between personal calls or meetings via the speakers. It also features a rechargeable battery that is powered via USB or with an accompanying AC adapter. 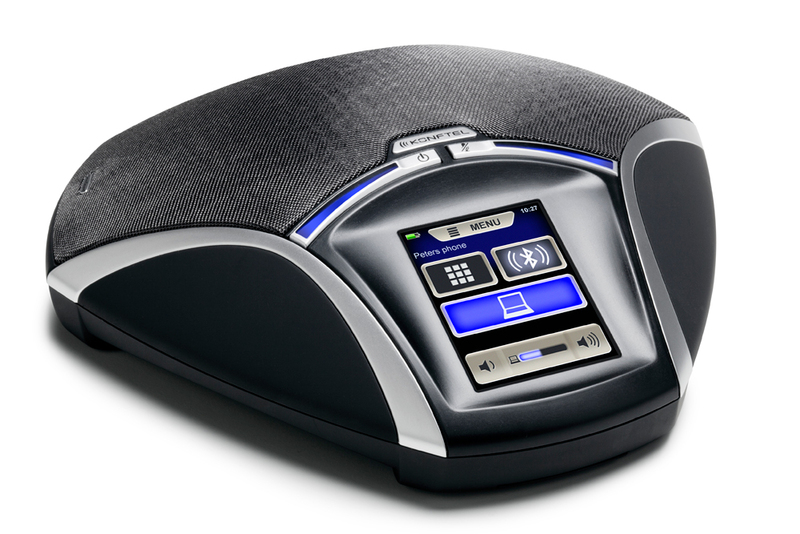 Konftel 55W has an inbuilt Bluetooth function for wireless operation. Interviews and conversations can be recorded onto an SD memory card and the device can be used as a dictaphone. The Konftel 55W is also expandable with additional microphones that increase the sound pick-up area.